Can Factory have experience developing robust, high-profile mobile apps both for Android, and iOS since 2010. We have developed mobile apps for some of the most well known UK companies including the Mail Online and Cineworld. 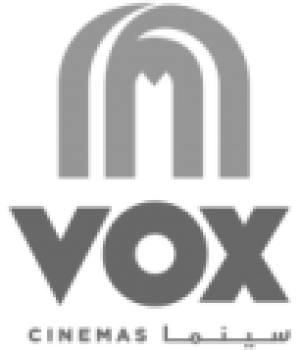 VOX Cinemas first selected Can Factory in June 2015 to re-develop their entire online sales and marketing solution, which will help transform VOX Cinemas the market leading exhibitor in the UAE. The website is not only a flagship for the VOX Cinemas brand, but delivers real-time performance information, and acts as VOX Cinemas principal multi-territory Advance Booking sales channel. The first phase of the project will take around 12 months to complete and will commence with the release of the new VOX Cinemas iPhone app. This will shortly be followed by the main ecommerce platform in UAE, Lebanon and Oman. The team will continue to develop the other mobile offerings throughout 2016. The bespoke Java solution designed and built by Can Factory, integrates with internal legacy and external third party systems and suppliers, including vendors such as: Vista, Cybersource, PayDollar, and Movio CRM platform. Can Factory’s application delivers online booking, and the synchronisation of performance data across all of VOX Cinemas locations in real-time. In addition, the solution includes the provision of a bespoke Content Management and Administration system to allow VOX Cinemas internal teams to leverage marketing and commercial opportunities more easily. Can Factory developed The MailOnline iPad mini app to better leverage the clarity and size of the iPad and iPad mini. The iOS app integrates directly with a live news feed API to provide customers with access to the largest English-language newspaper website worldwide with stories and photos from all of the MailOnline’s key channels. In February 2015, Can Factory launched Jackdaw to provide simple barcode scanning and QR code creation for iOS. As 2D barcodes are becoming increasingly familiar in everyday life, from products to billboard posters, we hope Jackdaw will provide users with a focused way of translating that information and acting upon it. Can Factory’s mobile app development started on the 14th July 2010, when Cineworld became the only UK cinema chain to offer its customers film information from a dedicated iPhone application. Designed and developed by Can Factory, and described as ‘the complete cinema package for your pocket’, the Cineworld application provides cinema-goers with quick and easy access to film content, alongside the ability to purchase tickets directly for Cineworld’s cinemas in the UK and Ireland. Since launch, the Cineworld iOS mobile app has consistently remained in the UK iTunes store top 40 free apps. The 1m download milestone was achieved after only 12-months and subsequently has been downloaded a total of 2.6m times (March, 2015). With the provision of continued support for annual iOS updates, and the growing list of Apple mobile devices, the Cineworld iOS app continues to grow from strength to strength. Subsequently in January 2011, Can Factory expanded Cineworld’s mobile device support through the introduction of their popular Android mobile app via the Google Play store. Although, the Android app provided much of the same customer functionality, a redesigned UI was required to take advantage of the native Android navigation components.